The Papers Series was found in the archives, accessioned as 2001:77. The Peters-Hilprecht Controversy Committee, and Resignation Series were transferred from Hilprecht’s Alumni Records File (UPF 1.9AR). The collection is organized into three series: Papers, Peters-Hilprecht Controversy Committee, and Resignation. The Papers Series and Resignation Series are arranged alphabetically; while the Peters-Hilprecht Controversy Committee Series is in its original order. Hermann Vollrat Hilprecht was born in Germany on July 28, 1859. He attended the University of Leipzig where he studied theology, law, and Semitic Languages. Hilprecht earned his Ph.D. in 1883, and emigrated to the United States three years later where he became oriental editor of the SUNDAY SCHOOL TIMES in Philadelphia. That same year he was appointed a lecturer in Egyptology at the University of Pennsylvania, later being appointed to the Clark research professorship of Assyriology and Comparative Semitic philology. 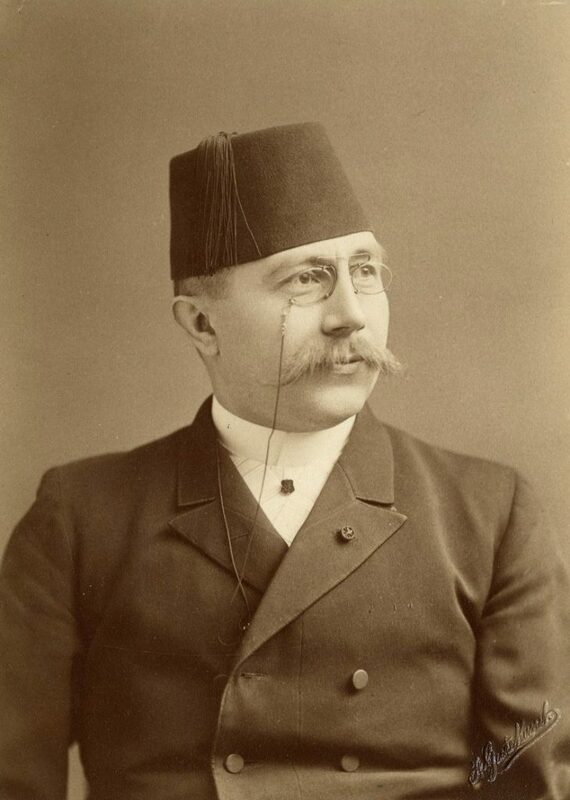 During the University sponsored excavation of Nippur, in present day Iraq, Hilprecht served as epigrapher in 1888-1889, and took over as scientific director after John P. Peters left in 1895. Hilprecht’s subsequent criticisms of other team members and claims of discovery led to controversy among Near Eastern scholars in America – labeled the Peters-Hilprecht Controversy. The University of Pennsylvania convened a judicatory committee to look into the allegations, and issued a report exonerating Hilprecht. In response to the American Scholarly communities backlash against him, Hilprecht published The So-Called Peters-Hilprecht Controversy (Philadelphia: A. J. Holman & Co., 1908). In addition to his professorship, Hilprecht also was curator of the Babylonian section of the University Museum from 1887 – 1910. He left the University and the Museum in 1911 following a dispute over access to his office and cases while he was away. Following his resignation Hilprecht returned to Germany, where he remained during World War I. He came back to Philadelphia following the armistice and became a U. S. Citizen. He died in Philadelphia on March 19, 1925. The Hermann Volrath Hilprecht Papers contain mostly correspondence to and from Hilprecht relating to his work at the University Museum as Curator of Babylonian and General Semitic Section. The Peters-Hilprecht Controversy Committee material is an unpublished report prepared by the Committee created by the University Trustees to investigate the matter. The Resignation series consists of two pamphlets of documents related to the matter. Additional material on the Peters-Hilprecht Controversy as well as the University Museum can be found in the Charles Custis Harrison Files (UPA 6.2H). The Archive also holds a copy of Hilprecht’s The So-Called Peters-Hilprecht Controversy (Philadelphia: A. J. Holman & Co., 1908) – UPT 50 H544 1908. Biographical information, newspaper clippings and photographs of Hilprecht are contained in his Alumni Records File (UPF 1.9AR). Hilprecht’s papers and field diaries are held at the University of Jena, Germany. The University Museum Archives of the University of Pennsylvania contains material on the Nippur expedition, as well as his annual reports as curator. Babylonian Expedition of the University of Pennsylvania. University of Pennsylvania. University Musuem of Archaeology and Anthropology. Peters, John P. Statement, n.d.